Wich is your type of business? 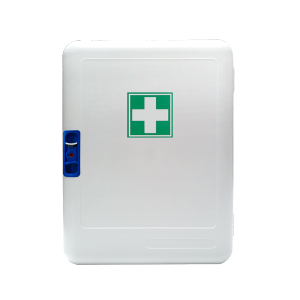 First Aid Cabinet made of injected plastic, with wall hanging, in fine and gloss finish. 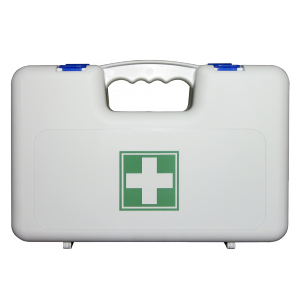 First Aid Kit made of injected plastic (polypropylene) with matte finish and non-slip surface, together with a fine and gloss central part, specially design to customize the kit with a label or serigraphy. 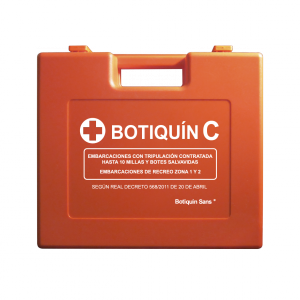 Rigid and resistant First Aid Kit in orange, with matte finish and non-slip surface. Specially designed for the naval sector. Content in accordance with regulation for vessels with contracted crew for navigation up to 10 miles offshore and lifeboats. Also applies to boats Zone 1 (unlimited Navigation) and Zone 2 (up to 60 miles). 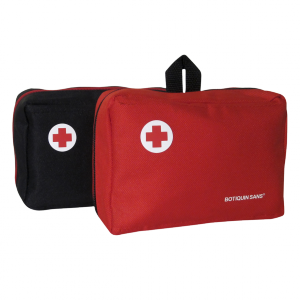 First aid kit made by resistant and waterproof nylon with a back handle and an extendable interior.